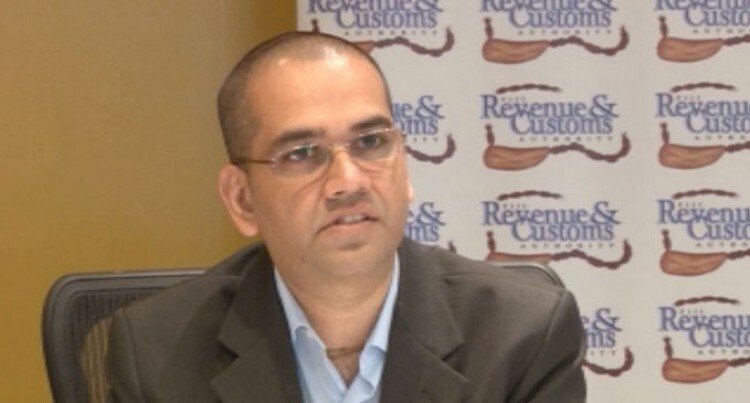 The Fiji Revenue Customs Service (FRCS) continues to support government in ensuring that all tax policies together with the relevant laws are implemented effectively to ensure that maximum compliance is achieved. As such, the tax office continues to be committed to its role in ensuring that all persons carry out their tax obligations diligently as required under the tax laws. As we continue to address tax and customs issues on a weekly basis, it is important to understand that the tax office intends to provide quality assistance to every Fijian. Whether it be for individuals or non-individuals, profit or not for profit – the ultimate goal is to maximise “voluntary compliance”. Hence, to enable this, it is important that we maintain a platform of continuous partnership. A Partnership that embraces absolute integrity, commitment and consistency towards Helping Fiji Grow. In this week’s article we look at the Value Added Tax return and what the 13 VAT return lines relate to when completing a VAT return. All VAT registered persons (known as Registered Persons) are required under the VAT Act to file a VAT Return either on a monthly, quarterly or annual basis. The Value Added Tax return is a form prescribed for the purpose of reporting all taxable sales, which includes those charged with VAT at nine per cent and those charged at 0 per cent. In other words, it is the duty of the registered person to file a VAT return to the tax office on a periodical basis. Failure to declare any VAT collected to FRCS is an offence and the tax office will ensure that offenders face the full brunt of the law. The VAT Return is made up of 13 VAT return lines that a registered person is required to complete before submitting to the tax office. It is vitally important for all VAT registered persons to know and understand what each line relates to, the different VAT principles that apply and how VAT is basically calculated in a VAT return. Other than an exempt supply, Line 1 of the VAT return refers to the total value of sales from taxable supplies. In general, a supply can either be exempt or taxable. For VAT purposes, a taxable supply can be defined as a sale of taxable goods and/or a delivery of taxable services. Taxable means that VAT is charged on the transaction. Taxable supplies are those supplies of goods and services that have been charged VAT at the rate of either nine per cent or 0 per cent. The use of proper accounting basis for VAT by the registered person cannot be over emphasised as it affects the entire VAT return for a period if the accounting basis is incorrect. An Exempt Supply is one that is not subject to VAT. In fact, any persons making a supply that is listed under the First Schedule of the VAT Act is not required to charge VAT even if the value of the supply exceeds $100,000. For example, the supply of financial services by the banks, the supply of education by an education institution etc. These are supplies that does not include VAT. On the other hand, a registered person cannot claim an input VAT for expenses incurred to derive these exempt supplies. Line 2 of the VAT return refers to those supplies where VAT has been charged at 0 per cent. These includes all supplies classified in the second Schedule of the VAT Act. A zero rated supply is a transaction where VAT does not increase the prices of goods and services. Technically, zero rate VAT means that zero VAT is charged on the invoice, similarly no VAT is received/collected by the registered person. However, Input VAT credit is allowed to the registered person for deriving the zero rated supplies. Although no VAT is being collected for this type of supply, the registered person is still required to declare the value of zero rated supplies in Line 1 and 2 of the VAT return. Line 3 of the VAT Return basically refers to the difference or the result of subtracting Line 2 from Line 1. The intention of having line 3 is to calculate the total value of su plies that were charged VAT at the rate of nine per cent. In other words, if the total taxable supplies in Line 1 includes zero rated supplies then the registered person must reduce the amount by subtracting zero rated supplies (Line 2) from the total taxable supplies (Line 1). The basic reason of why zero rated supplies must be correctly declared in Line 1 and 2 is to ensure that Line 3 is correctly calculated. The calculation basically takes the zero rated supplies out from the total taxable supplies declared in Line 1 of the VAT return to ensure that the registered persons calculates the exact value of supplies charged at the rate of 9 per cent. The amount in Line 3 basically confirms the total value of supplies subject to nine per cent VAT for the period. Line 4 refers to the calculation of VAT collected for the period. As such, Line 4 basically requires a registered person to calculate the actual VAT collected for the period by multiplying the total of line 3 with the VAT fraction. The example below shows the calculation in Line 4 through the use of the Tax fraction. A VAT output adjustment is not a sale transaction; it is merely correcting a VAT transaction that was made in the current or subsequent period. It is NOT right to cancel a disputed invoice and simply re-issue a new invoice as this will distort the tax point of the original invoice. Therefore, recording the correct adjustment is vital in filling of VAT returns. To calculate the Total VAT charged on taxable supplies the registered person is required to add line 4 and 5 of the VAT return to determine the Total VAT collected for the period. Line 7 of the VAT return refers to the local VAT paid on actual purchases of the business. This includes all VAT incurred by the registered person upon purchasing goods and services for the business. As such, the condition under Line 7 ensures that VAT paid on purchases is claimed on the basis that the registered person has a valid Tax Invoice. In other words, where a registered person does not have a valid tax invoice for a particular claim – the claim cannot be made. The registered person is required under the VAT Act to issue a proper tax invoice where a supply has been made. the unit price, discount price, reductions and consideration exclusive of VAT and Rate andamount of VAT separately for ease of claiming. The tax office urges every registered persons to issue proper tax invoices to its customers as this is one of the VAT obligations under the VAT Act. Failure to issue a Tax Invoice or a proper Tax Invoice is an offence captured under Section 71 (m) and 71(C) of VATA which will result in penalties and fines to the registered person. The VAT Input Schedule is a summary of all local purchases made in a taxable period by the registered person. It is mandatory for all registered persons to provide a VAT Input Schedule when making a VAT claim on local purchases. Effective from taxable period January 2019, any VAT return that does not have an accompanying Input Schedule will be subjected to full audit and consequential penalties for any discrepancy ascertained. It is important that the registered persons understand the purpose of the Input Schedule and the information required for this. Furthermore, without the VAT Input Schedule, FRCS will not allow VAT claims on local purchases/expenses. Line 8 refers to the Total VAT paid to Customs for goods imported under the registered person’s name to Fiji for the period. A registered person must always ensure that the Customs Entry is under the registered business/entity name and the imported goods are used for business related purposes. All Customs imports for the registered business/entity must always be correctly accounted in Line 8 of the VAT return. Claims made in Line 8 will depend on the type of Single Administrative Document(SAD). The registered person can only claim VAT on IM4 and not IM7. An IM7 entry is where goods are still in bonded warehouses in which duty and VAT is not payable even though on the custom entry the assessment may have shown the figures for both. The registered person must also note that custom VAT is claimable once paid, regardless of the accounting basis. Line 10 refers to the Total VAT on Purchases by the registered person for the period. In other words, Line 10 requires the registered person to add the amounts in Line 7, 8 and 9 to determine the Total VAT paid on purchases for the period. Line 11 refers to Apportionment of Input Tax. This basically relates to goods and services that are supplied to the registered person which are not used wholly for the purpose of making taxable supplies. Line 12 refers to the Total Input Tax or the Total VAT paid on purchases and expenses during the period. As such, the registered persons is required to subtract the amount in Line 11 from the amount in Line 10 to determine the Total VAT paid on purchases for the period. At the end of each period, VAT is either paid to FRCS or refunded to the registered person. For this purpose, Line 13 basically requires the registered person to subtract Line 12 from Line 6 of the VAT return. In other words, subtract the Total VAT paid on local purchases/expense in Line 12 from the Total VAT collected in Line 6 of the VAT Return. Finally, all VAT registered persons are still required to file a VAT return even if there was no VAT collected and/or no VAT paid for a particular period. So often we have found registered VAT payers to be inconsistent with their lodgment obligations when it comes to periods where they have NIL VAT. It is even unfortunate to note that VAT registered businesses and companies delay lodgment when they know it is a NIL VAT return. This causes a lot of unnecessary demand notices being issued by the tax office to the registered taxpayer to lodge an outstanding VAT return. The tax office wishes to advise and urge VAT registered taxpayers to be consistent with their lodgment obligations as the VAT law requires them to – even if it means lodging a NIL VAT return. While lodging a NIL return, do ensure that a letter explaining the reason for a NIL return is submitted with the VAT return.